About From The Ground Up Garden. 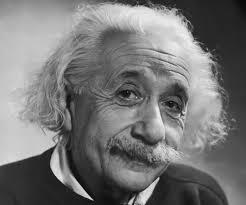 One of Albert Einsteins many famous quotes was ” if you are good at something, get paid for it”. I also use another couple of his thoughts for inspiration regularly: “if you study something for just 15 minutes a day you’ll very soon become an expert”. And ” you don’t need to know the answer to everything, just where to find the answer”. With these thoughts in mind I have started to share what I know, learn more and started doing what I have been doing quietly for myself and friends for 30 years or so. Creating gardens. My ethos is simple: you don’t have to spend a fortune to have a wonderful garden. Gardens are your space to enjoy and celebrate nature, while providing a playground for whomsoever should use it. I like to share knowledge and learn from others, so we can grow our gardens without filling the pockets of garden centre shareholders. I am a gardener, with over 30 years experience. I work for clients, but much prefer to work with them. I am local to Bourne End, and work mostly in the local area. The most significant inspiration to me has been Christopher Lloyd, and his long-time assistant and now successor at Great Dixter, Fergus Garrett. My projects are always started with Christo’s words in my head. Though after that gardens being gardens will do what they want, and that is good with me. The more the plants grow, the more enjoyment I have out there with them, and therefore the more material I have for the compost heap to rejuvenate the garden again.